9/11/17 UPDATE: Due to the impending weather expected in Nashville on 9/12, James's show has been moved to the Main Level Stage and will be help from 3-6 PM instead of on the rooftop from 6-10 PM. As part of the GEORGE JONES BIRTHDAY BASH, the James Carothers Trio will be playing a special show on Tuesday, September 12th. 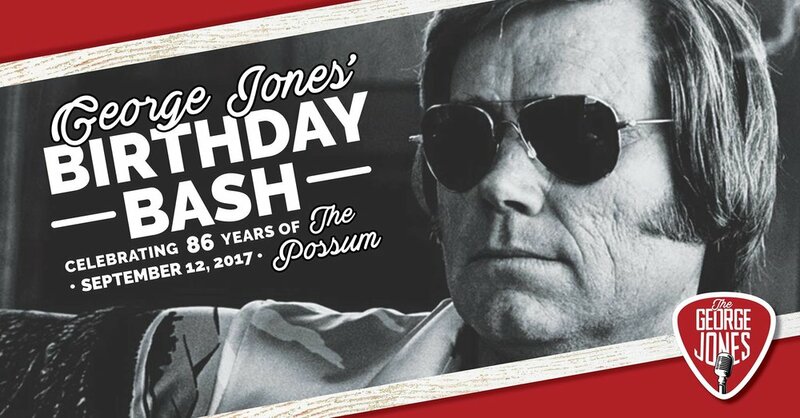 Celebrate the life and legacy of The Possum on his 86th Birthday at The George Jones! Admission to the George Jones Museum is free all day long for this special occasion! See y'all in #JonesCountry! Newer Post2018 Ameripolitan Awards Announced! Older PostWATCH: Official Music Video for "Back to Hank"